This week I'm joined by X-Squad's Very Own Quinton Simpson, Co-owner of The Critical Dump Network & host of Choppin It Up w/Q Podcast & co-host on Talking Thirty Podcast! 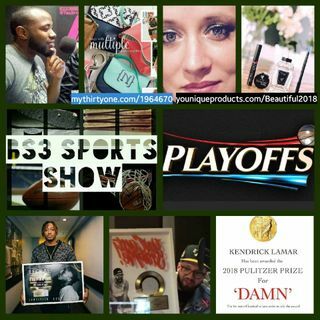 We'll be talking the Week in Sports, NBA Playoffs, and much more! E-mail her at brandi.haller95@gmail.com for more ... See More details!